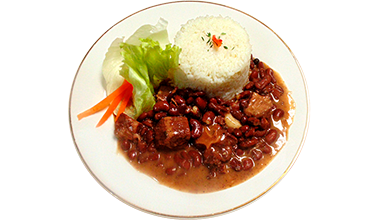 Stew Peas Stew Peas is a traditional Jamaican dish made with red kidney beans, beef and oxtails. Medium and large are served with your choice of two sides. Medium and large are served with your choice of two sides. Rice is optional. 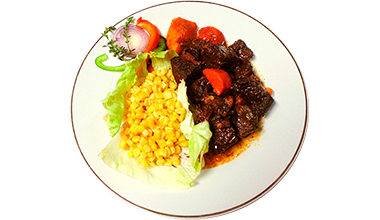 Oxtails A rich tradition in Jamaica's culture, our oxtails are browned and slow cooked with butter beans and a combination of herbs and spices to excite your taste buds. Medium and large are served with your choice of two sides. Rice is optional. 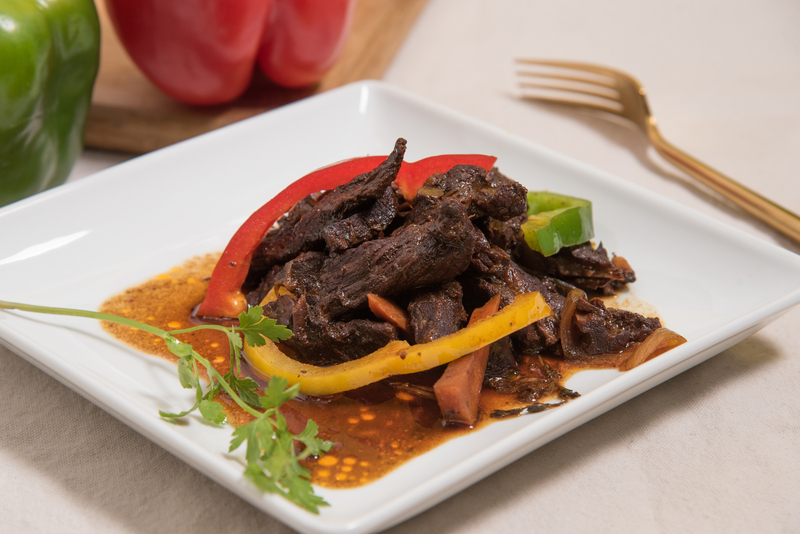 Pepper Steak Thick slices of beef browned and cooked with a mix of red, green, and yellow peppers, and carrots that make your taste buds come alive. Medium and large are served with your choice of two sides. Rice is optional. 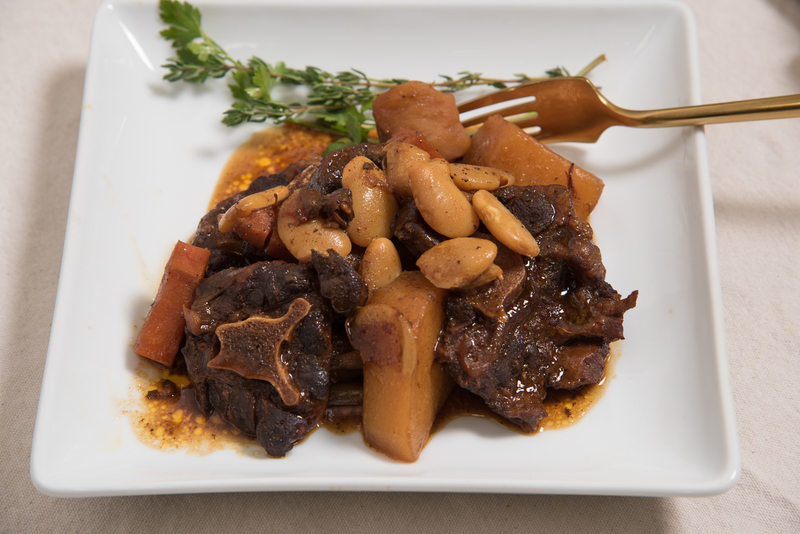 Stew Beef Tender chunks of beef seasoned with fresh herbs and spices, browned and simmered in our succulent gravy with carrots and potatoes. Medium and large are served with your choice of two sides. Rice is optional.